After the game has been delayed again just two weeks ahead of its official launch date, Gran Turismo fans around the world just couldn't wait any time longer to know how the much anticipated X1 Prototype looked like. Luckily the guys at GTPlanet got their hands on the first leaked set of pictures of the car. 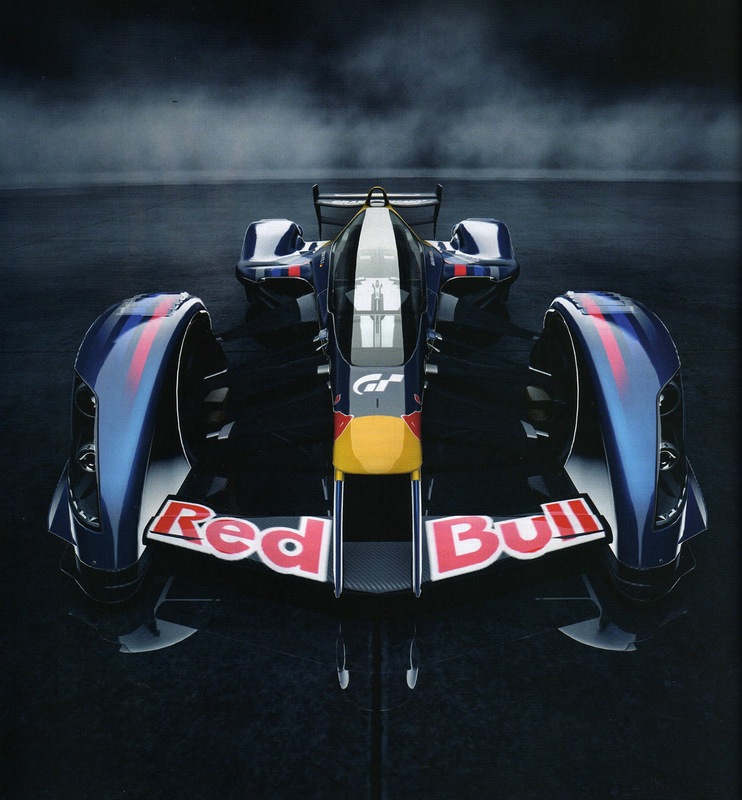 Designed by Adrian Newey, Red Bull Racing's Chief Designer, the X1 Prototype is supposed to break all the barriers of limitation fixed by current Formula 1 regulations. Power comes from a gas turbine developping 1483bhp and 527lb ft of torque. Power is transmitted to the rear wheels through a continuously variable transmission. The weight of the car is just 545 kilograms. This allows Newey's Dream racer to virtually lap the Suzuka circuit in 1:11.450 in the hands of Sebatian Vettel, 20 seconds faster than the fastest F1 lap around the same circuit. Top speed is nearly 400 Km/h (249 mph). The car features the same livery as the current RB6 Formula 1 car. All four wheels are hidden and the driver cockpit is now nearly identical to a jet fighter's cockpit for maximum aerodynamic efficiency. However, there still are some formula One inspired aero elements like the front and rear wings as well as the side air intakes. Head on to GTPlanet to see the insane rear end of the car and don't forget to buy next month's issue of Car Magazine for more details. If you want to see the teaser video again go back to this link.